The Allegany Mountain Resort boasts a location that maximizes relaxation. 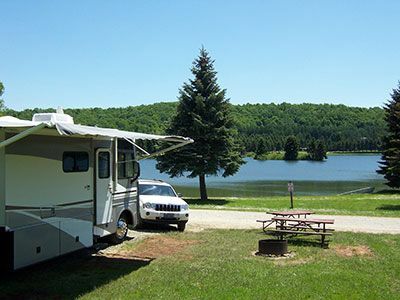 Whether you want to nap on the shores of Rainbow Lake or find out how many exciting activities are available, these campground memberships are just right for you. 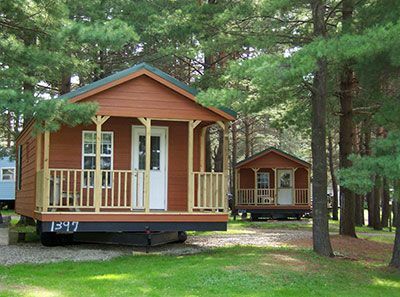 These RV resort resales let you bring your vacation home on wheels with you or choose a cozy cabin as a peaceful retreat. Allegany Mountain Resort is nestled a dozen miles from the village of Ellicottville, New York. Visitors won't want to miss a chance to explore the one-of-a-kind shops in the settlement, and if there's a festival happening, it's certain to be an event that shouldn't be missed. Visitors are charmed by local breweries and wineries. Of course, most people come here for the outdoor activities. Hiking on the trails and mountain biking are both perennially popular. People also find opportunities to play golf or enjoy skiing when the snow comes. 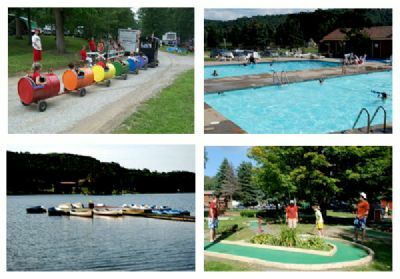 The campground memberships for sale at this resort are truly second to none because of the numerous amenities that are provided for guests. No fewer than three swimming pools keep everyone feeling cool and refreshed. Nearby Rainbow Lake provides yet another excuse to spend some time on or in the water. The lake is feed by streams, and the fishing is always in season. Members also can take out a boat to enjoy the full 70 acres of the lake. Other facilities at the resort include playgrounds, mini-golf and an Adult Lodge complete with library and billiards room. A restaurant rounds out the offerings in the lodge. Guests additionally may enjoy the ball fields and courts, hosted activities and theme weekends. 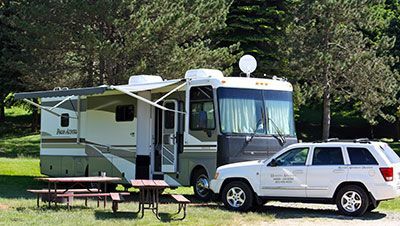 Accommodations consist of more than 700 generously proportioned RV sites along the lakeshore. Hillside campsites are available too, and all sites have water and electrical hookups. Cabins, complete with everything campers need except for linens, may be rented by those without an RV. 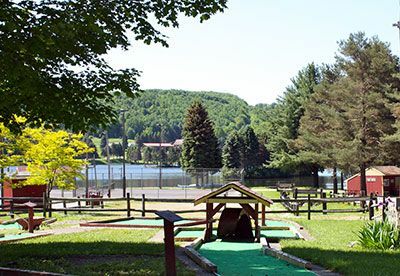 Allegany Mountain Resort has everything for memorable family vacations. 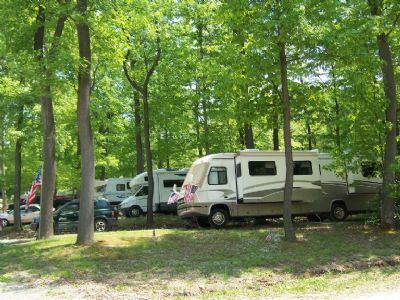 These campground memberships for sale are an excellent value that can be enjoyed year after year. RV resort resales are a smart choice for close-knit families. Contact Allegany Mountain Resort Specialist Today!